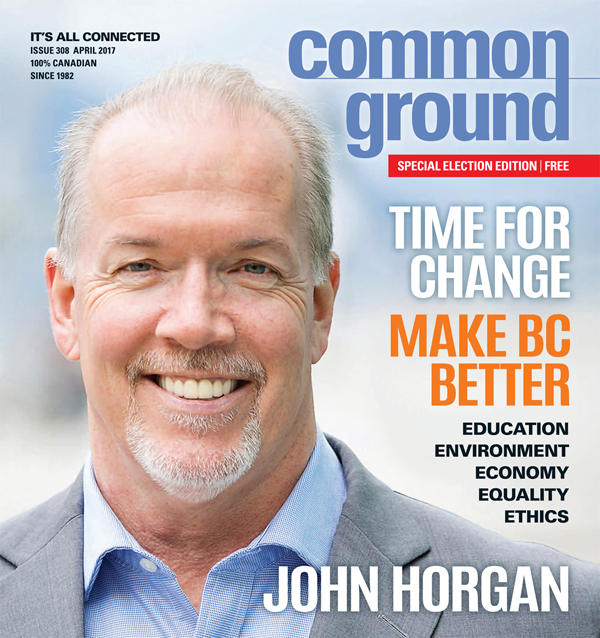 The prominent issue that the BC NDP was elected for was to get big money out of politics at the provincial and municipal levels. The NDP and Greens committed to banning corporate, union and foreign donations with limits on individuals. We also need limits on campaign spending. These changes should be the first order of the new BC government and apply to the anticipated City of Vancouver by-election, likely in October. Unfortunately, with the NDP’s appointment of Geoff Meggs as the new Chief of Staff for BC, it sends a confusing signal. Geoff Meggs was central to the split within COPE forming the development industry backed Vision Vancouver that continues to accept large corporate donations with enormous influence on housing policy. “Inequality in our society is the biggest challenge that the new government will have, and in fact it’s the biggest challenge British Columbia has. Voters in BC will be watching closely. In the meantime, here are a few quotes from UK Labour Jeremy Corbyn for everyone – especially our new government – to keep in mind. The real price of democracy is eternal vigilance, i.e paying active attention after voting, so those we elected keep their word. We voted for change, specifically: 1) get big money out of politics, 2) proportional electoral reform; each are fundamental for improving our democracy. Both the NDP and Greens promised no less. And during their swan song Speech from the Throne the Liberals joined the consensus. The parties are lined up, now the job must be done before the forces against democratic reform attack. The sharks are circling, having left the warm waters of neo-liberalism. They smell fresh blood in the NDP-Green government in the making. Big money and big developers want to insert their agenda into the mix. The newly forming government must be protected from the same big financial, land-flipping forces that made Vancouver housing unaffordable for most. Don’t let what corrupted Vancouver infect the rest of BC. Will political power remain with the old economic rulers or become fresh, new power of the people? This is the choice before us. The commoners are 99 percent; big money is 1 percent. 99 percent is a far larger democratic majority. In BC we have suffered 16 years of 1 percent rule, now it is our time to shine. Some experts believe their goal was to bankrupt BC Hydro and then privatize it by selling it to their corporate friends. We have the opportunity now to bring the real workings of BC to light. Let us save our most precious public asset from privatization. We can stop this further theft of the commons now. As well, the scandalous made-in-secret Independent Power Producer contracts have directed money away from the public purse into private hands. Many of the original owners of IPP contracts, which include run of river licenses, have flipped their IPP licences to much bigger multi-national corporate interests like General Electric. When sold the new owners receive the lucrative IPP secret contract. Our new government can open the books and let the public see what the previous government has done. There are a host of other non-transparent issues: Kinder Morgan pipeline, Woodfibre LNG agreement with Indonesian billionaire, Site C Dam, ICBC. And while we are cleaning up the mess, let’s review BC Rail and BC Gas privatization sales. The prior Liberal governments kept much from the public, let the new government open the books. Give us the change we voted for, and get it done now. Thanks in advance. Which in sleep had had fallen on you. You are many, they are few!